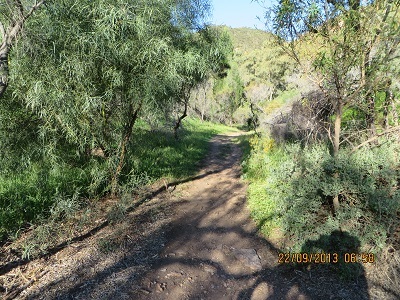 I activated the Telowie Gorge Conservation Park this afternoon at 06:23. Telowie Conservation Park conserves a gorge which cuts through the lower Flinders Ranges and provides a habitat for the Yellow-footed Rock Wallaby. This was an unplanned activation on my way to the Flinders Ranges National Park. The following contacts were made: VK5ZAI, Tony at home; VK5HCF, Col at Mt Gambier 5 & 9 and 3 & 3. Col has a vertical antenna and a huge noise problem. But he copied the essentials! VK5DK, Col also from Mount Gambier 5, 9 and 5, 7 and then VK3YE/p QRP, Peter, who was walking on the Chelsea Beach, bare footed with an FT817 and a vertical. Peter copied me 5, 4 and I gave him 5, 5. This is the second time I have had a contact with Peter, pedestrian mobile on a beach. I was delighted as he called me. I copied Brian, VK5FMID at Mount Gambier and VK3ANL, Nick, 5, 4 and 4, 6. A total of six contacts were made before moving on to the next unplanned activation at Winninowie Conservation Park. Winninowie Conservation Park preserves coastal flat land fronting Spencer Gulf. There are no trees so I used my 10m squid pole to support the linked dipole in an inverted vee configuration. There were strong Indonesian signals on 7.100 MHz at around 08:12 and I checked the band above and below this frequency. This is the latest I have operated portable in the Spring and there were plenty of signals on the band and the US amateurs on 7.140 were 5 and 9. I did not give them a call, but instead came upon a net on 7.106. The net was winding up and I gave my call sign and was copied by VK4FVC, Vernon near Townsville. He was 5, 9 and he gave me a 5, 8. He then asked his net colleagues if they could copy my signal and I had excellent contacts with, VK2ARJ, Ian at Lismore; VK4MIK, Mick on the Atherton Tablelands and finally, VK2JNG/p, Gerard. 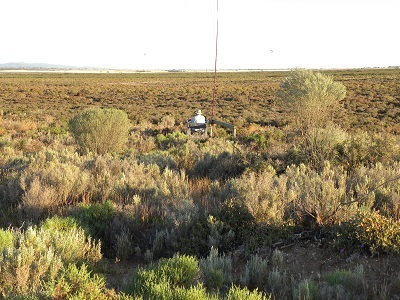 I am grateful for Vernon who with skill assumed the role of net controller and all operators were pleased to work a QRP (5 watt) station in a Conservation Park in South Australia. I then had contacts with the following SA amateurs, part of the regular Parks crew: VK5ATW, Trevor; VK5PAS/m, Paul returning from the Riverland and VK5KC, David, also returning from the Riverland. My final contact, the eighth, was with VK4VBU/m, Greg returning from Winton where he and some friends had visited the Winton air crash site of an Ansett plane. VH-RMI crashed near Winton on 22 September 1966 http://www.airwaysmuseum.com/Vickers%20Viscount%20VH-RMI%20crash%20Winton.htm. One of the wonders of amateur radio is that it is a ‘broad church’; there is room for us all to pursue our different interests and I am grateful to all of those amateurs who try and keep their ears in good condition be having contacts with QRP stations.